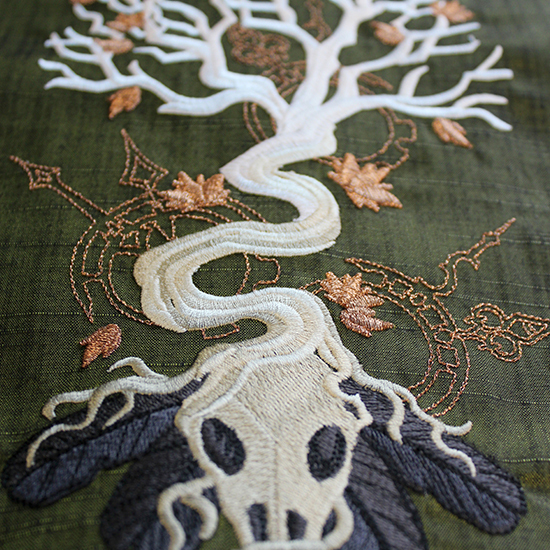 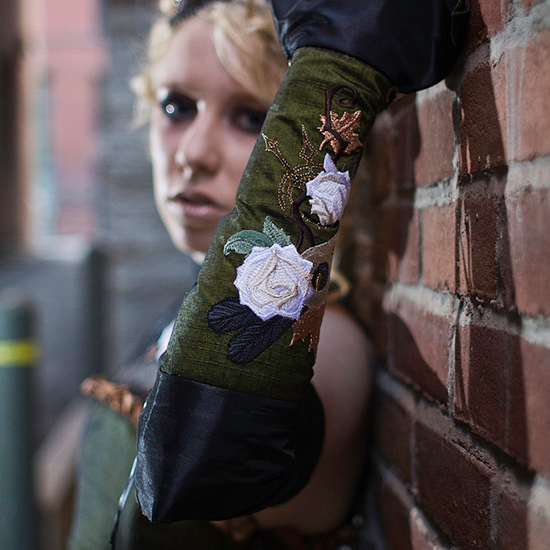 This Clockwork Natura Dress was a unique and ground-breaking collaboration between Urban Threads and local artisans, KMK Designs. 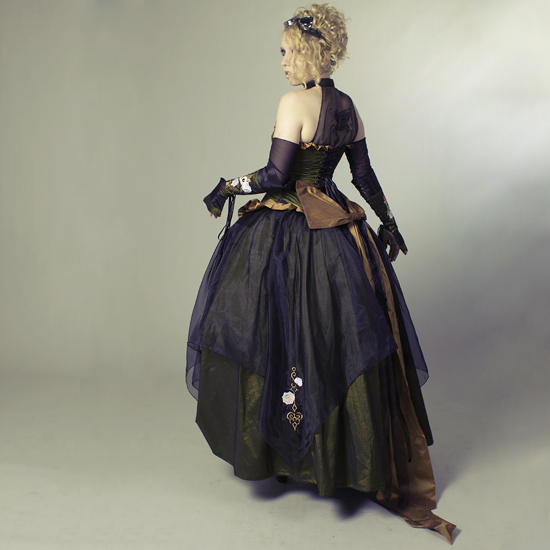 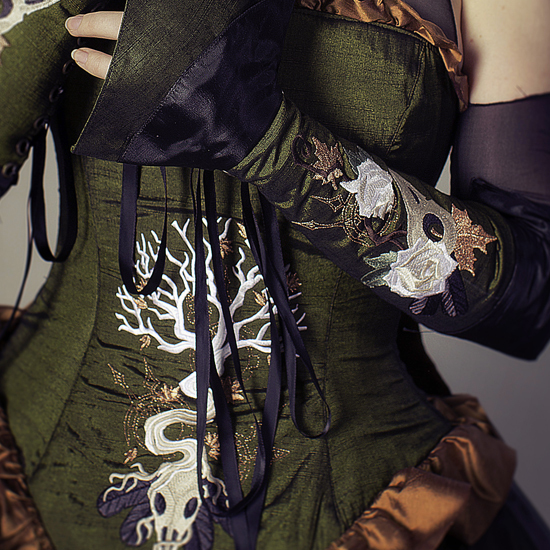 The custom steampunk gown was embroidered with numerous designs from the Clockwork Natura series, and was featured on Burdastyle and the original Urban Threads lookbook. 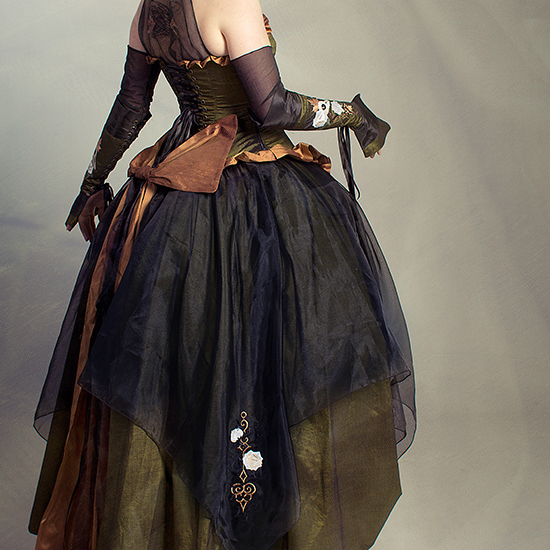 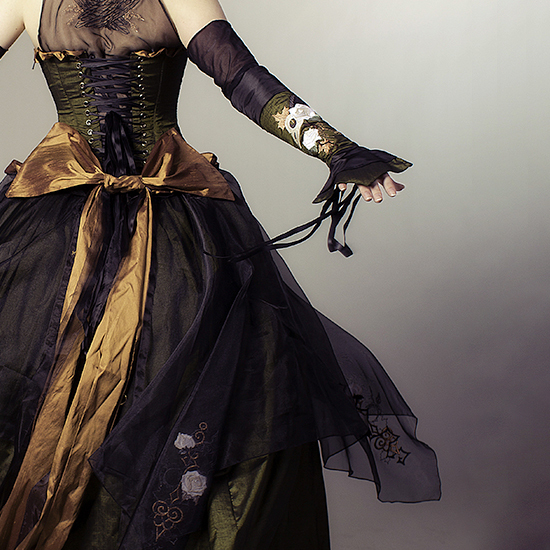 It's a stunning look at what a happens when steampunk collides with a touch of gothic!